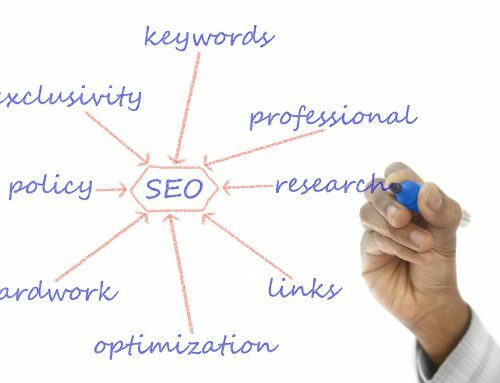 Creating an organic SEO strategy and getting listed on top positions is time-consuming and requires a lot of hard work. 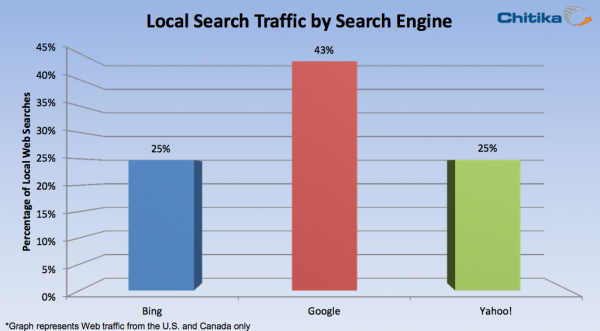 But with local businesses dominating the search results, focusing on local SEO marketing can provide effective results. With the increasing popularity of smartphones and wearable tech gadgets, the way searches are made will be on the go. According to the ad network, Chitika (via Search Engine Land) estimated 43% of all Google, 25% of all Bing, and 25% of all Yahoo searches are location oriented and that approximately 50% of all mobile searches carried local intent. 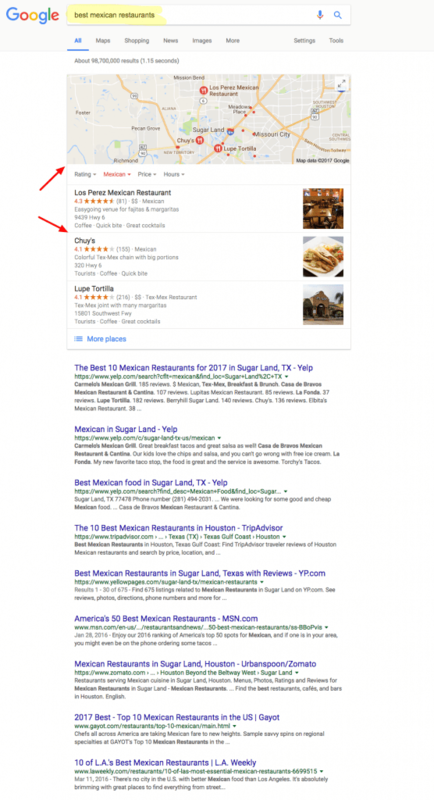 Do you remember making a search online for a restaurant even when you didn’t enter the location, but the results that come up were all localized, geo-targetted? That is what local search results mean. Local Search Engine Optimization (Local SEO) is the practice used to optimize your business to the local audience. It is mainly used by brick-and-mortar stores to bring in more customers from the close proximity of the business location. Local SEO allows you to place your business on search engines based on searcher’s current locations and other digital platforms so that your customers can find you. It an effective way to reach and target the local customer base. Local SEO allows you to place your business on search engines when your customers are searching for you. Local search marketing has become a critical part of online marketing strategy for the local business like restaurants, accountants, auto dealers, service shops, builders, doctors, and more who operate out of a physical location. 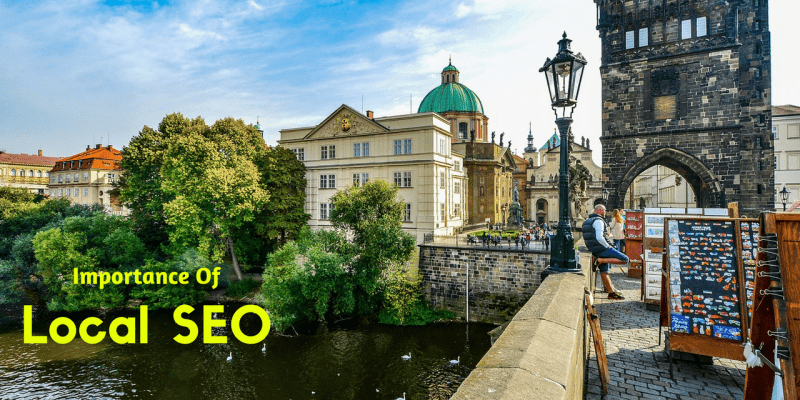 Local SEO is important for small-sized business who have a physical location. For these brick-and-mortar stores its hard (though, not impossible) to dominate the organic search results because they cannot outspend the larger brands who have big marketing budget set aside. Why does someone make a search on search engines? To find something, right? It can a service, a product, a business or can be anything else. As the hunt for a service begins (on the search engine) the person don’t know what business they are going to pick. All they know is they are a looking for a service. 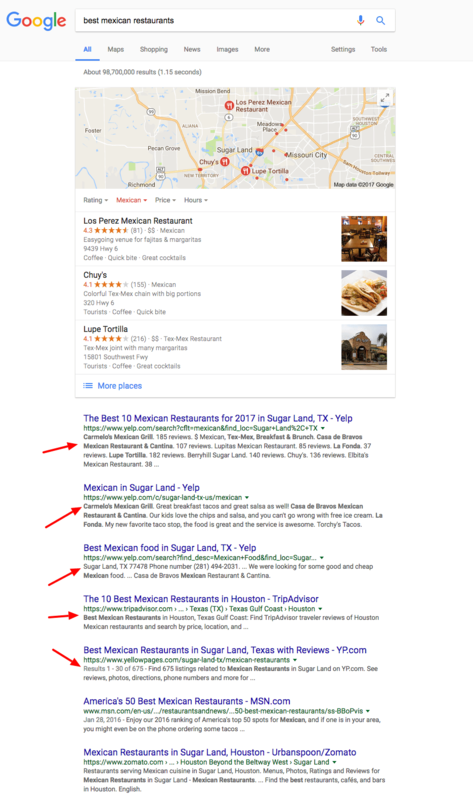 The top results are the local Mexican restaurants, based on my current location (even when I didn’t enter my location in the search). It shows the map results so I can see the distance and a few results, which I can navigate to more if I want to. Using local optimization tactics you can promote your business to your customers when they really need you. It increases your chances of getting a new customer because you positioned yourself where they can find you. Local SEO increases your chances of getting a new customer because you positioned yourself where they can find you. 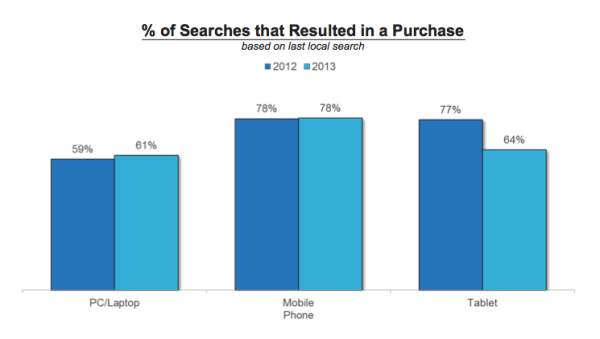 50% of consumers who do a local search visit a store on the same day when they made a search from their smartphone. That’s a very decent number! Local searches are influencing people more than ever before when it comes to picking what brand to go with. Now taking the above example into consideration, when I made a search for “Best Mexican Restaurants” my results showed 3 local restaurants. Taking advantage of the Google Places listings your business will be listed in the results along with other business. Taking advantage of the Google Places listings your business will be listed in the results along with other business. It means you can target the local customers based on their searches. Based on the type of the category your business is listed, your ranking factors will be affected. To make the most of the local search result listings, make sure your list your business in the right categories. Learn what your competitors are doing and see what best suits your customer needs. Online directories dominate the first page of the search results and that comes as an advantage for small-sized business, who have a limited marketing budget compared to medium to large-sized business. That, in no way, means that they are out of the game. Small businesses can take advantage of local searches, especially targeting mobile users who can get directions to your physical store or make a phone call with just a tap on their smartphone. According to ComScore, nearly 80 percent of local searches on mobile devices turned into purchases, with close to 90 percent of those purchases being made in a physical store. Medium to large-sized business usually top the search results for short-tail keywords, but for location-based long tail keywords, small local businesses have a chance to take up the top rankings. Long -tail keywords result in a higher conversion rate because they are searched by users who are mainly in the lower end of the funnel (at the purchase stage of the buying cycle). 50% of the smartphone users grab their smartphone first thing after they wake up (that’s a huge number), which proves the need of marketing your business online. 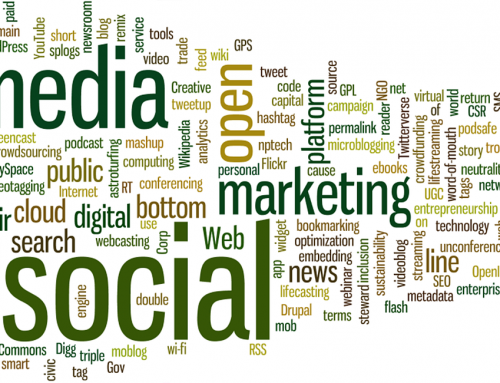 If you are nowhere to be found on the Internet you are losing a big chunk of the opportunity of capturing new customers. Over 6 billion online searches are made every single out of which more than 4 billion searches are made on Google itself. People reply in internet searches for everything. 87% of the smartphone users use a search engine at least once a day and roughly four out of five consumers use search engines to conduct local searches. 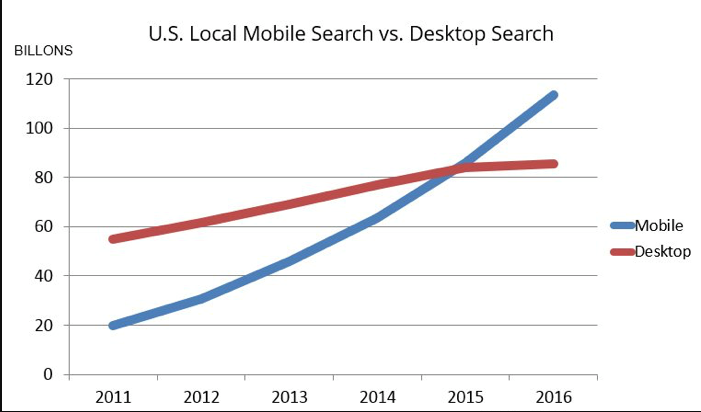 According to an announcement made by Google, more percentage of people are using mobile search compared to desktop searches. Taking into consideration the size of the mobile screens, which limits the ease of checking search results, users tend to check out the top few options before making a decision, making it vital for businesses to add local SEO into their marketing strategy. Comparing local SEO with traditional marketing, like newspaper ads, brochure & flyer distribution, banner ads, etc where you have to spend hundreds of thousands of dollar when you don’t even know if your customer needs your services or not. With local SEO, you are reaching potential customers when they are literally searching for you. That’s the time when you know they need your services. 28% of searches for something nearby resulted in a purchase, which is a pretty decent number! Comparing the cost of doing Local SEO vs the benefits, it shows that it is a cost-effective strategy which can generate more sales. 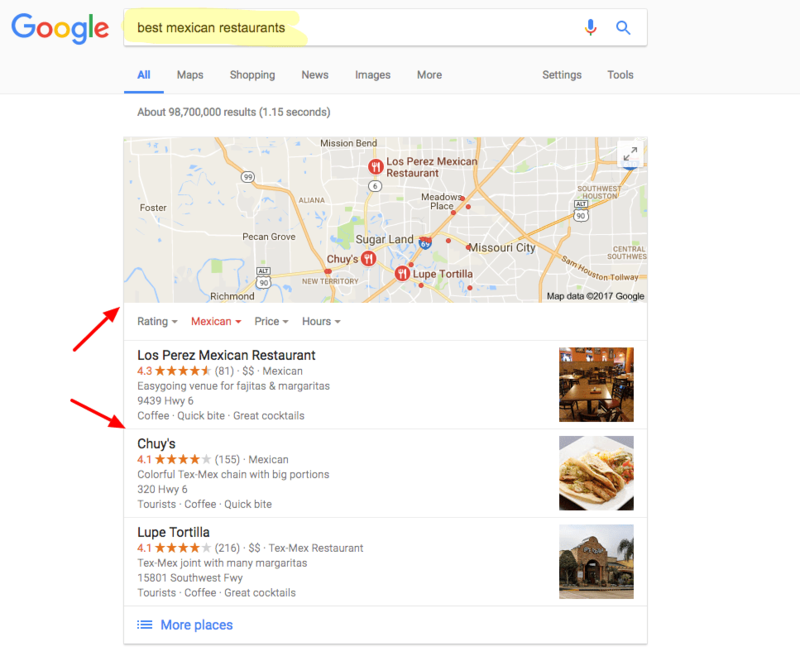 Check the above example of my search for “Best Mexican Restaurants” you can see that right after the Google Maps and Google Place listings, comes the most popular local directory listings. Online directories take up the major real estate in search results. Submitting your business to these local directories increases your chances of appearing on top. Submitting your business to local directories increases your chances of appearing on top. 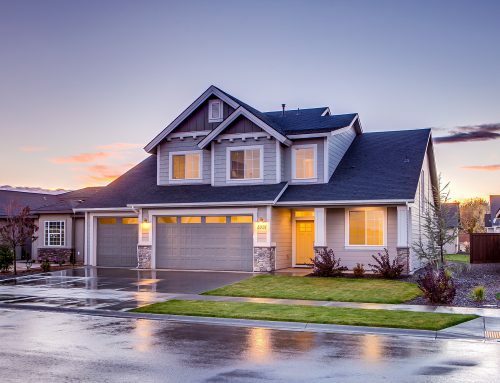 Every listing is considered a citation (a mention of your business on local directories or review websites) and they are one of the important factors considered by Google’s ranking algorithm. Getting your business listed in such directories build trust and authenticity. Your chances of showing up in the search results increase when listed in these directories, even when your own website is not well optimized for search rankings. These are just a few directories to get you started. Every addition to these listings is an added chance for your business to be found online. Local search is trending and will be a strong ranking factor in Google’s search algorithm in future. Jumping on the trend before your competitors do give you a good head start. Google’s ever-changing and extremely complex search algorithm makes it difficult to figure out to rank for the top positions but combining all the ranking factors into your local SEO strategy can help you gain more customers. Local search optimization process does not end once desired top ranks are achieved search results. It’s an ongoing process, to maintain those results on top. It is important to invest in local search now as that will establish a sustainable competitive advantage over your competitors. All local businesses from tradesmen services like plumber and electricians, to restaurants and florists, should take advantage of local SEO to reach the customers right when they are looking for you. Have you ever used local SEO in your marketing strategy before? What kind of results did they generate for your business? Let me know in comments below. I highly appreciate your thoughts regarding on this matter. It’s really informative and helpful article. Thank you for sharing.